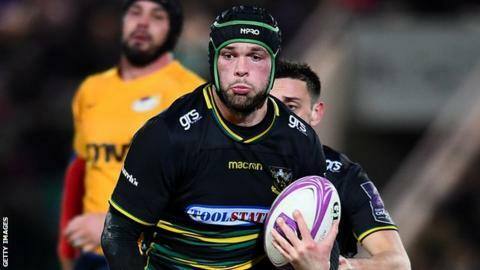 Forward Dom Barrow has left Premiership side Northampton Saints by mutual consent. The 25-year-old former Leicester and Newcastle lock has featured seven times for the club since joining last summer. "Following periods of unavailability through injury and the emergence of some home-grown locks, Dom has had limited opportunities," a statement on the club website said. "He has a strong appetite and desire to play the game at the highest level."